We strongly recommend using a pull to open and close your roller shade. Even with care, natural oils from your skin will soil the shade. We offer traditional crocheted, metal and wood pulls. Our traditional crocheted pulls come in white or ecru are included with your roller shade order at no additional charge. We also offer metal and wood pulls. The prices are listed below. You can buy replacement crocheted pulls here. 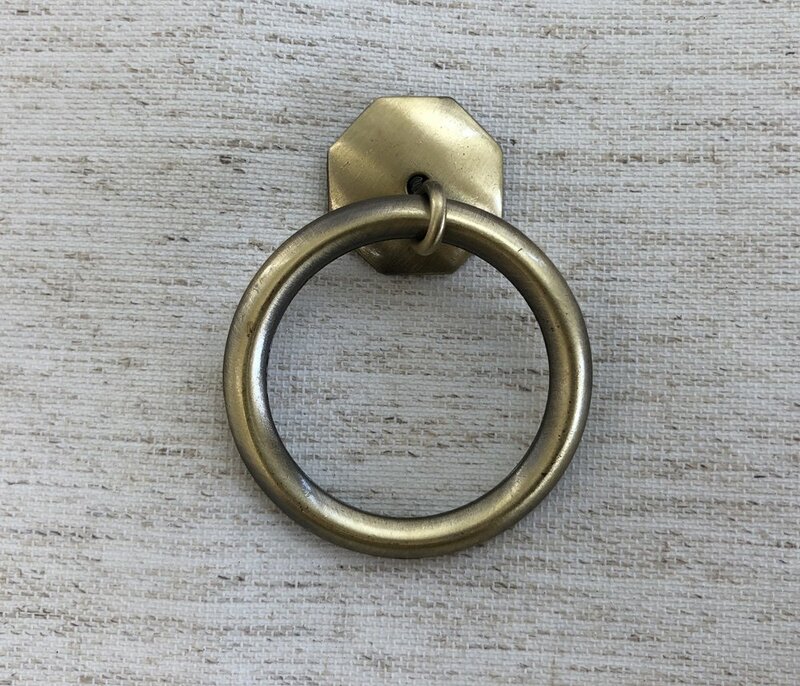 Our metal ring pulls are also available in a 3 pack for $15.00. Traditional Wood Pull: we offer the traditional pull, which has a bigger grip for your hand. It's also available in mahogany along with white and oak. These pulls cannot be used with the heavier battens used for extra wide shades and roller shades made with our Bungalow cloth. They are $10.00 each with your shade order. 'Bamboo' Wood Pull: the bamboo pull is not made of bamboo, but styled like its gently curved stems. This pull cannot be used with the heavier battens used for extra wide shades and with roller shades made with our Bungalow cloth. These pulls are $8.00 each with shade order.